Crypto market is currently at the state of recovery post taking a downfall in the past few weeks. However, a lot of hopes are there about recovery by the end of the upcoming month. Many things are speculated to occur in the month to have impacts on the industry. Naturally, people remaining in confusion about bitcoin today news must be eyeing the arrival of the month. According to the latest report, the top names in the crypto industry have been called for a meet-up regarding the crucial aspects of Initial Coin Offerings in the United States. More than thirty cryptocurrency based organizations have been invited from the US Congressman. It is here to note that Warren Davidson, the Congressman is known to be having a huge interest in Crypto world. He is enthusiastic about crypto affairs; people looking for the bitcoin cash news must be hoping something great from him. 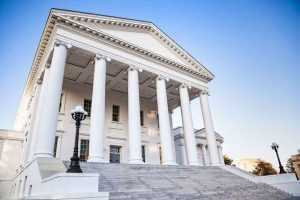 It is said that Davidson will be captaining the ICO legislation. According to him, the scarcity of laws is the foremost reason behind the dodgy scenario of the crypto world in the United States. This lack of regulation also is the reason according to him for many fraud cryptocurrencies to appear. If the regulations are appropriately set, indeed people looking for the bitcoin latest news today can stay assured. He states during an interview with a top media house that a “light touch regulatory framework” would provide “certainty for the ICO market.” According to the reports, the meeting has been fixed to be held on 25th September 2018. Various cryptocurrency related aspects are expected to be addressed, to help people looking forward to. In the meeting, the responsibilities of the regulators are also expected to be set. Moreover, a nice flexible environment is expected to be established for the potential start-up companies interested in raising capital. 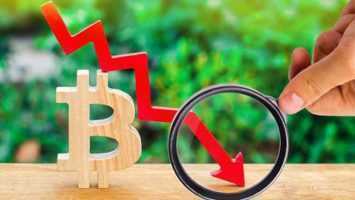 It is here to mention that the additional rejection of the BTC ETF proposal submitted by the Winklevoss brothers on July this year, made the crypto companies suffer from temporary downfall. This created confusions on bitcoin news updates. Anyway, the crypto community members were not affected; rather were confident about the recovery. SEC rejected the application claiming that the ETF is not in accordance with the Securities Exchange Act. According to the latest report made by Eduardo Aleman that the SEC had set 30th September as the date for making the ultimate decision regarding the Bitcoin ETF proposal. It is true that September is crucial for crypto investment point of views. 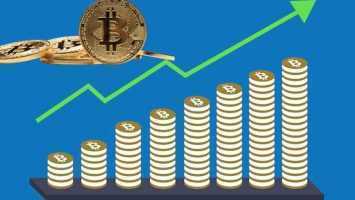 The key events as explained above are also expected to make things simpler on bitcoin latest news. If post completion of meeting with the US regulators and a fresh legislative framework for the US ICO market is published, then number of investors would find things convenient for raising funds through ICOs. On the other hand, upon SEC acknowledging the BTC ETF application of the Winklevoss twins, the business groups would be able to trade Shares of SolidX bitcoin that can ultimately eventually drag interest of more professional investors into the crypto world.